Cindy is a lifelong resident of Zavalla, TX and graduated from Zavalla High School in 1980. Cindy holds an Associates degree in Business and has been in the dental profession since 1985. She joined Jordan Family Dentistry in December of 1999 after serving in the Air Force for four years as a Dental Assistant. Cindy handles the insurance for our patients, ensuring that things are filed and verified on behalf of our patients. 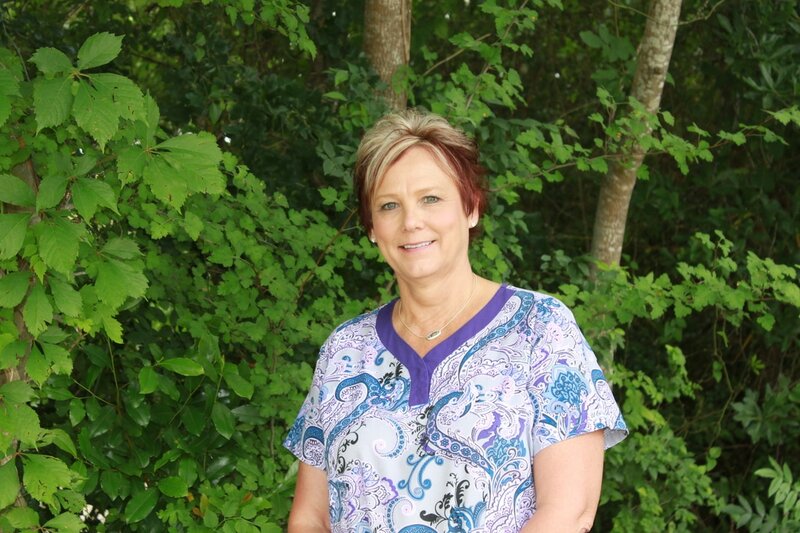 Cindy enjoys working at Jordan Family Dentistry because every day is a new experience! Every day is different with technology constantly changing and the uniqueness of each patient. Cindy also appreciates that the team takes their time to educate each patient. She’s an ideal fit for her job because she and her fellow teammates work as a well-oiled machine to provide quality patient care. Cindy has two beautiful daughters, a grandson, and a granddaughter. In her spare time, Cindy enjoys crocheting, running, cooking, and being an active member of Zavalla Church of Christ. 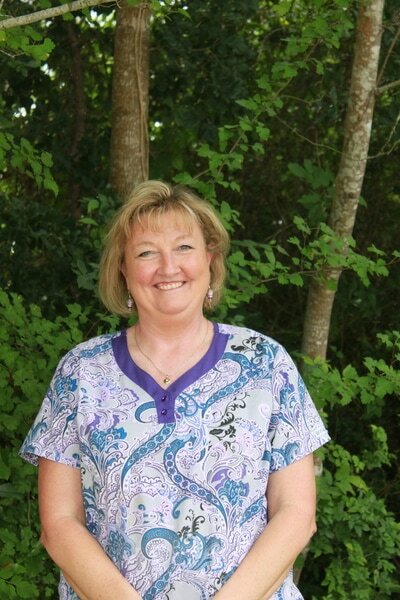 Tina is a lifelong resident of Huntington, TX and graduated from Huntington High School in 1981. She’s been a valuable part of the Jordan Family Dentistry team since 2005, and has been in the dental field since 2003. After working as a Hygiene Assistant for several years, Tina transitioned to the Patient Coordinator position. She is a registered dental assistant, and has attended many dental seminars to better serve her patients, among other duties. Tina acknowledges that being a registered dental assistant enables her to help out in all areas of the practice. Tina enjoys the practice’s family-oriented atmosphere, and loves the high quality of care each doctor and team member is able to provide for the patients. Tina is perfect for her role because she is pleasant, takes the time to know the patients, and is very attentive to the needs of her patients and fellow team members. Tina is married to Kip, and they have two adult daughters and 2 grandchildren. She enjoys camping, riding 4-wheelers, and spending time with her family.